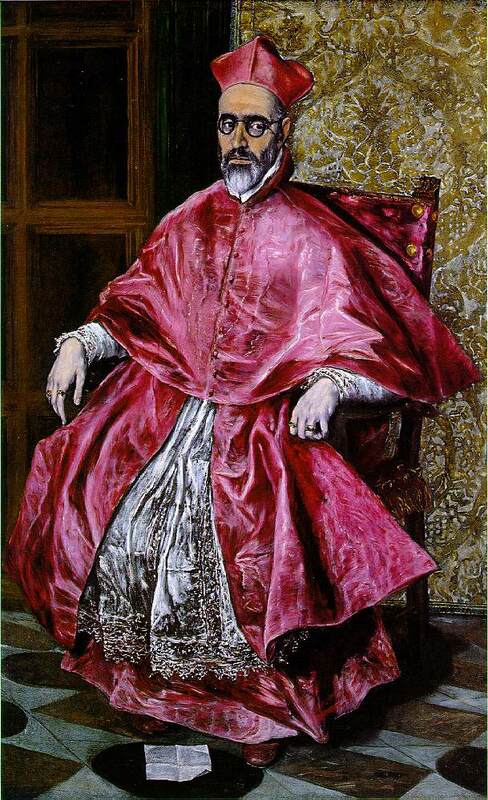 Among the surviving works of his Italian period are two paintings of the Purification of the Temple (Minneapolis Institute of Arts, and NG, Washington), a much-repeated theme, and the portrait of Giulio Clovio (Museo di Capodimonte, Naples). 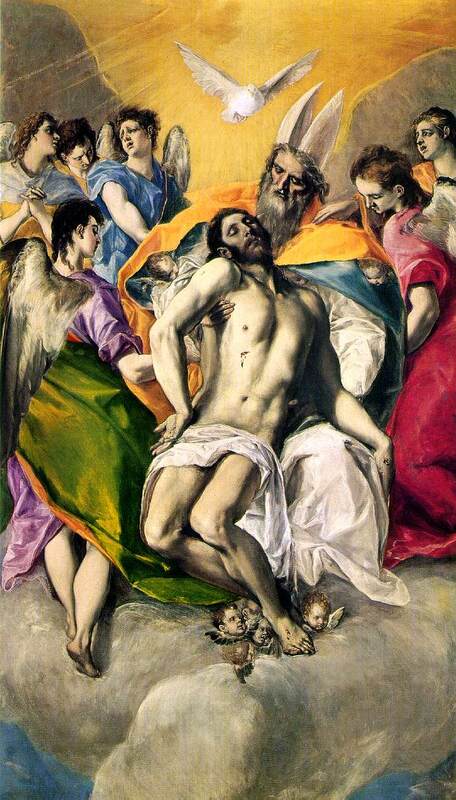 By 1577 he was at Toledo, where he remained until his death, and it was there that he matured his characteristic style in which figures elongated into flame-like forms and usually painted in cold, eerie, bluish colors express intense religious feeling. 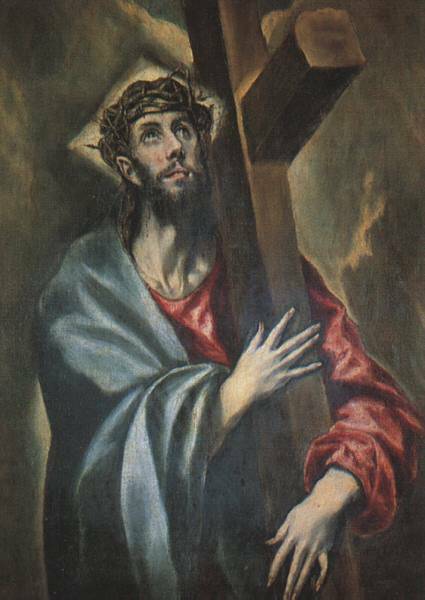 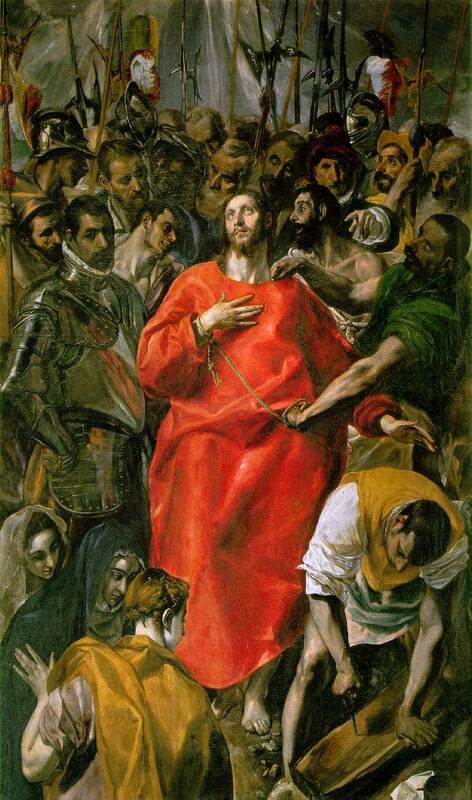 The commission that took him to Toledo -- the high altarpiece of the church of S. Domingo el Antiguo -- was gained through Diego de Castilla, Dean of Canons at Toledo Cathedral, whom El Greco had met in Rome. 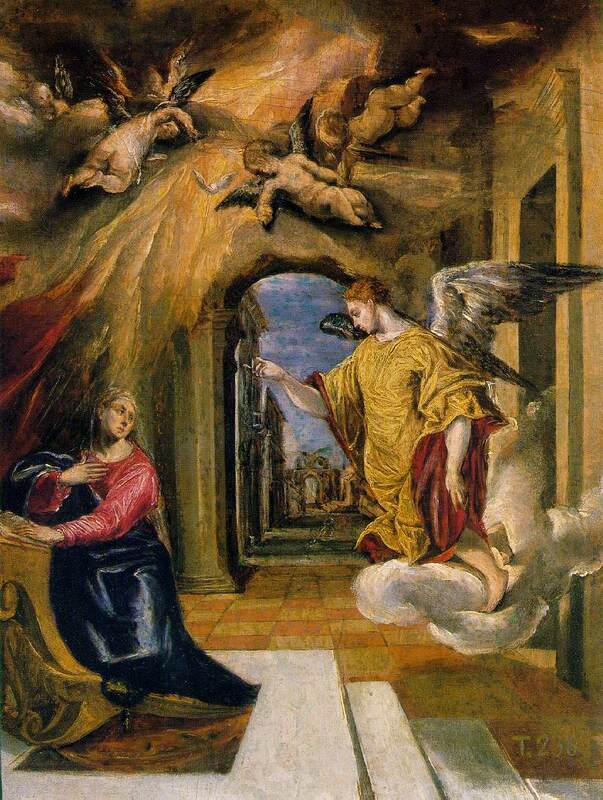 The central part of the altarpiece, a 4-m. high canvas of The Assumption of the Virgin (Art Institute of Chicago, 1577), was easily his biggest work to date, but he carried off the dynamic composition triumphantly. 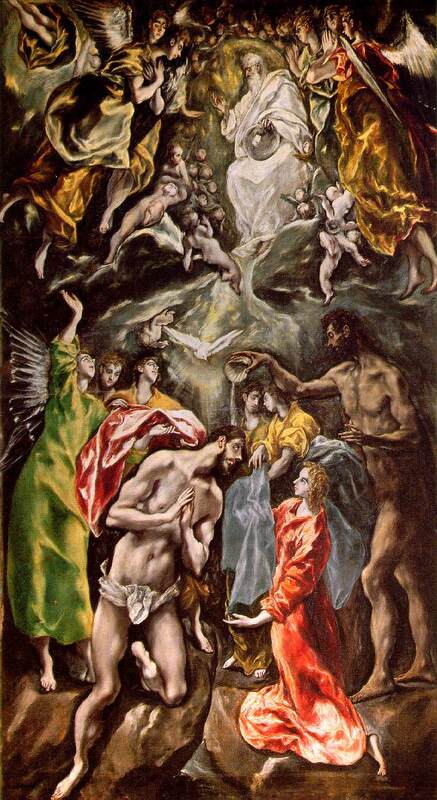 A succession of great altarpieces followed throughout his career, the two most famous being El Espolio (Christ Stripped of His Garments) (Toledo Cathedral, 1577-79) and The Burial of Count Orgaz (S. Tomé, Toledo, 1586-88). 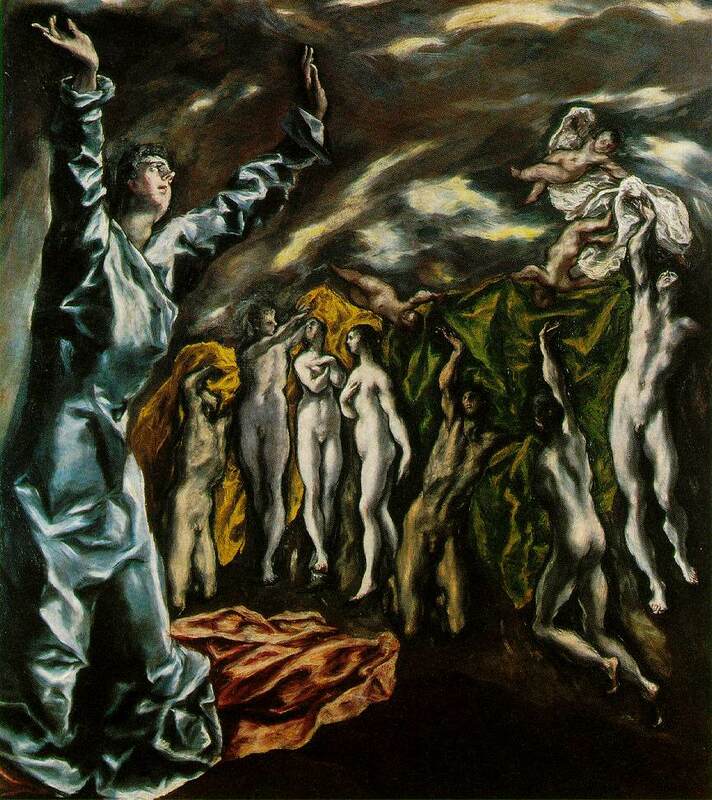 These two mighty works convey the awesomeness of great spiritual events with a sense of mystic rapture, and in his late work El Greco went even further in freeing his figures from earth-bound restrictions; The Adoration of the Shepherds (Prado, Madrid, 1612-1614), painted for his own tomb, is a prime example. 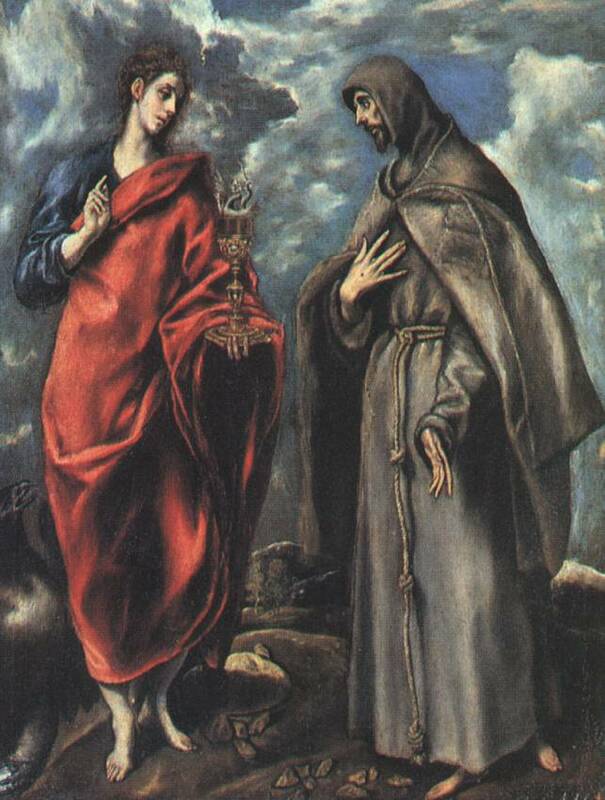 El Greco excelled also as a portraitist, mainly of ecclesiastics ( Felix Paravicino , Boston Museum, 1609) or gentlemen, although one of his most beautiful works is a portrait of a lady (Pollock House, Glasgow, c. 1577-80), traditionally identified as a likeness of Jeronima de las Cuevas, his common-law wife. 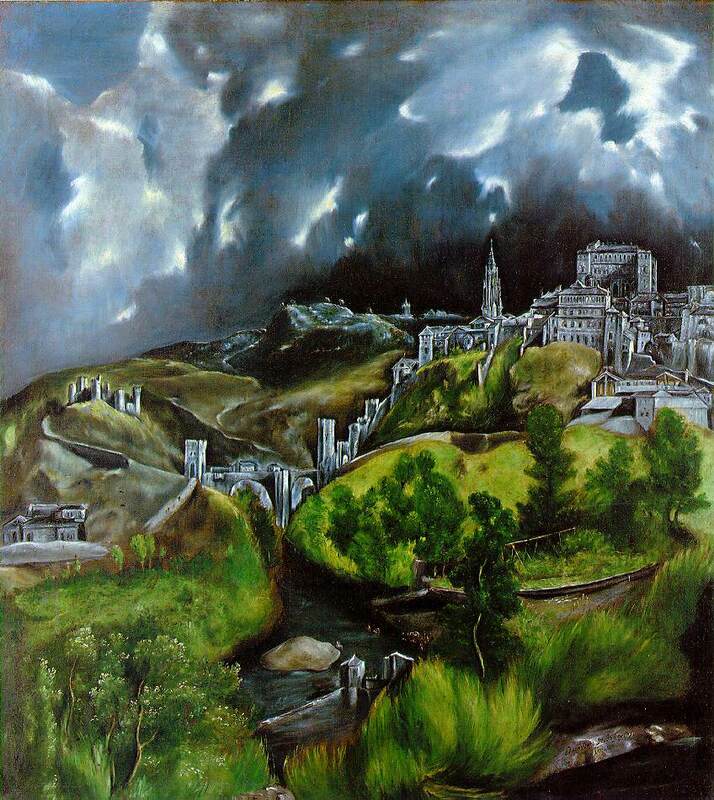 He also painted two views of Toledo (Met. 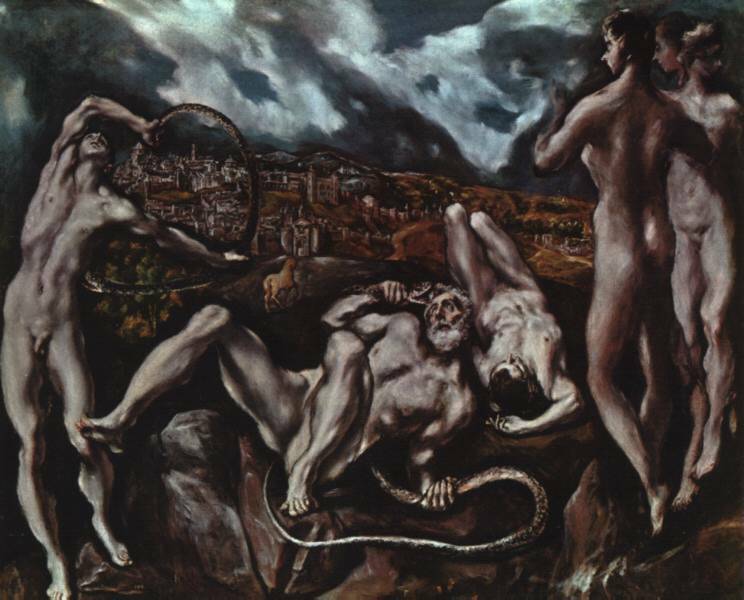 Museum, New York, and Museo del Greco, Toledo), both late works, and a mythological painting, Laocoön (National Gallery, Washington, c. 1610), that is unique in his oeuvre. 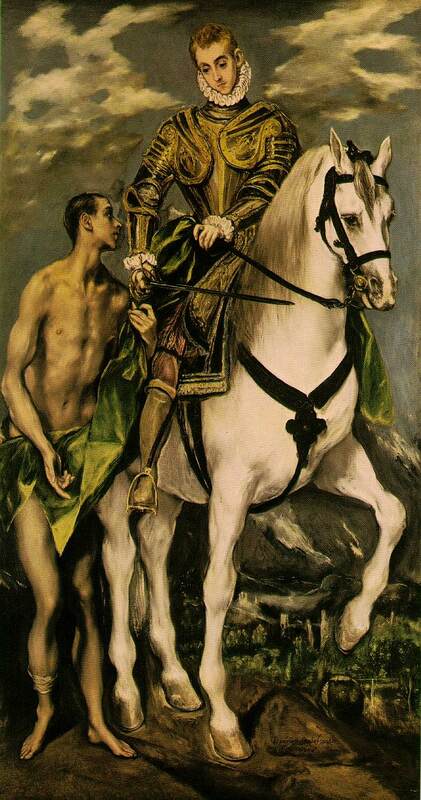 The unusual choice of subjects is perhaps explained by the local tradition that Toledo had been founded by descendants of the Trojans. 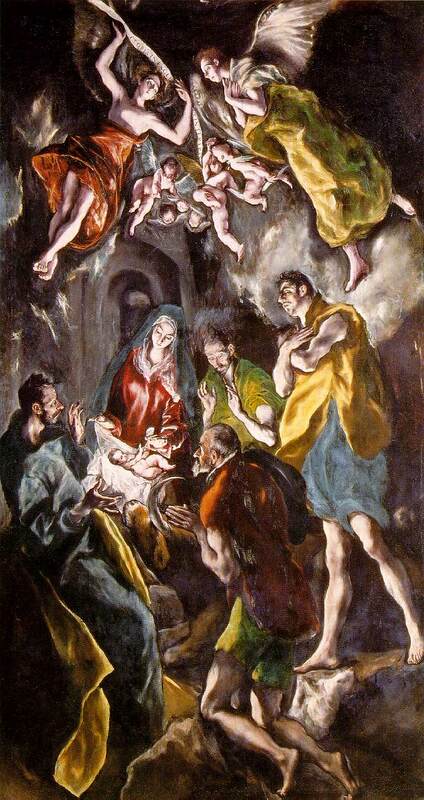 El Greco also designed complete altar compositions, working as architect and sculptor as well as painter, for instance at the Hospital de la Caridad, Illescas (1603). 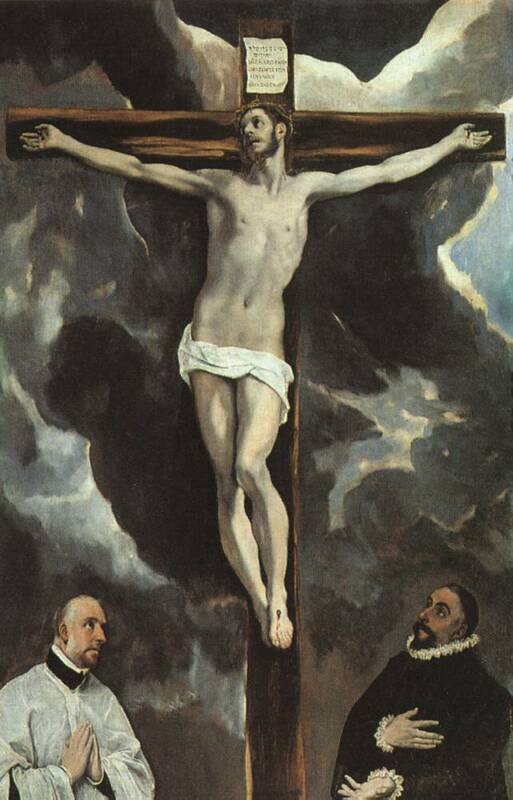 Pacheco, who visited El Greco in 1611, refers to him as a writer on painting, sculpture, and architecture. 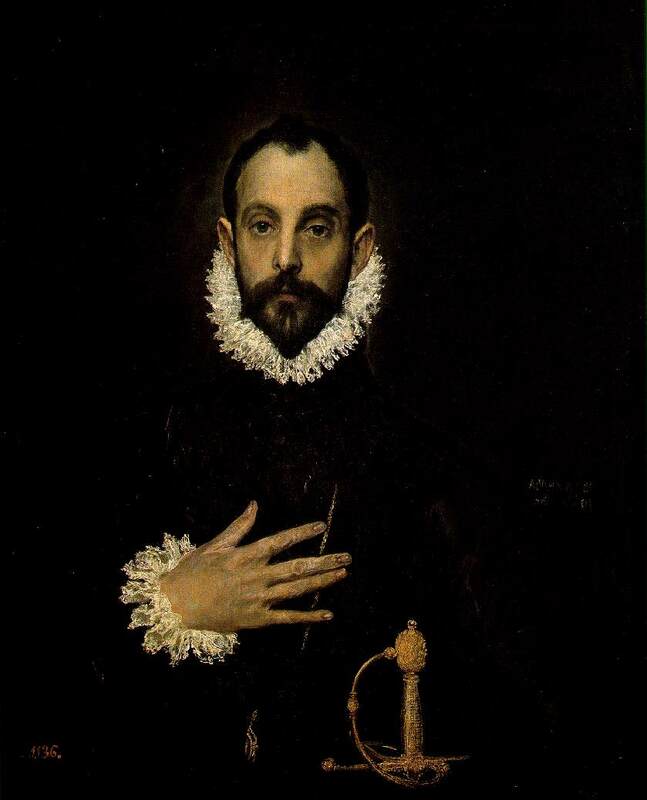 He had a proud temperament, conceiving of himself as an artist-philosopher rather that a craftsman, and had a lavish life-style, although he had little success in securing the royal patronage he desired and seems to have had some financial difficulties near the end of his life. 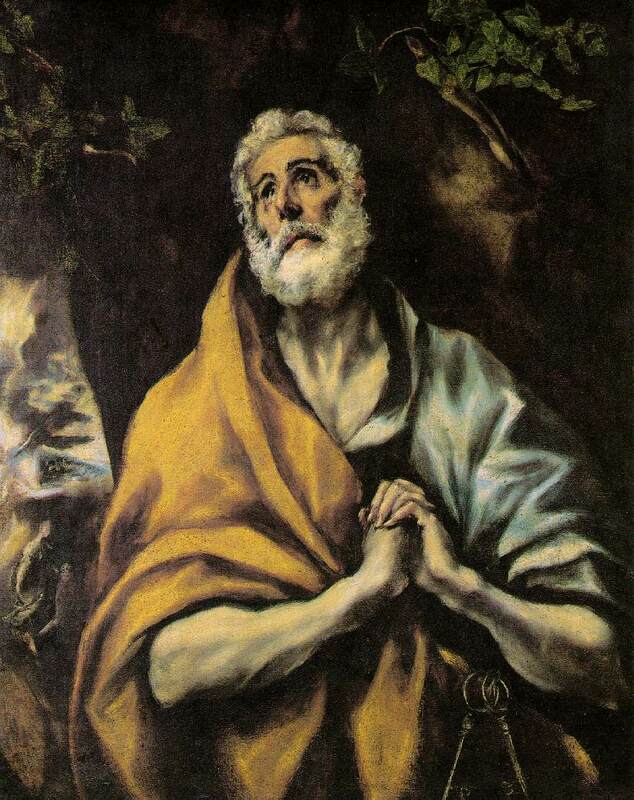 His workshop turned out a great many replicas of his paintings, but his work was so personal that his influence was slight, his only followers of note being his son Jorge Manuel Theotocopouli and Luis Tristán. 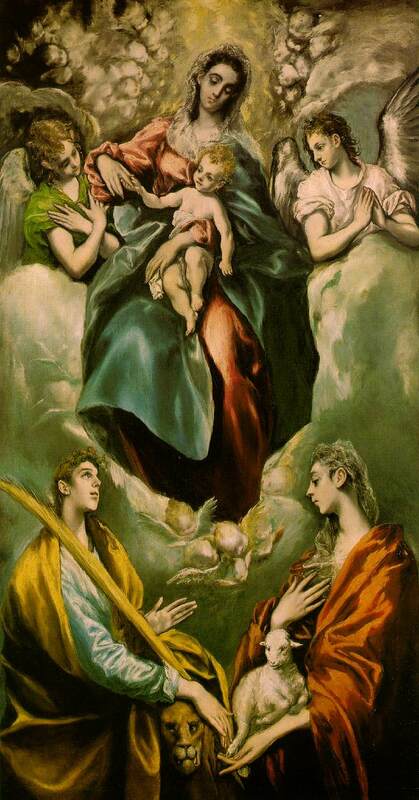 Interest in his art revived at the end of the 19th century, and with the development of Expressionism in the 20th century he came into his own. 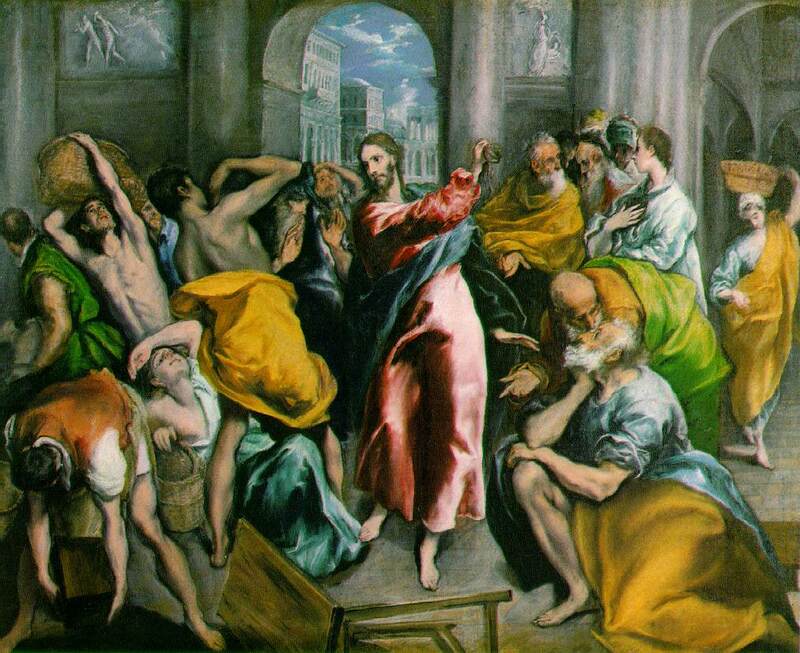 The strangeness of his art has inspired various theories, for example that he was mad or suffered from astigmatism, but his rapturous paintings make complete sense as an expression of the religious fervour of his adopted country.